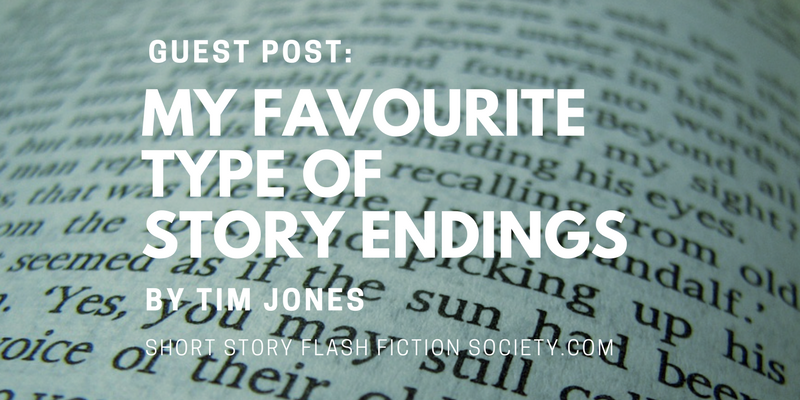 I was asked about my favourite endings to stories and I thought it was a bit of a peculiar subject. As far as I was aware I didn’t have a favourite ending type and it took quite a bit of thinking. In order to find my favourite kind of ending I needed to first look at my least favourite kind of ending. Actually, I have two least favourites, both challenging each other for the golden raspberry of supremacy. The first is “and they all lived happily ever after”. This works fine for a children’s story, at least I thought so as a child, but no adult should ever end a story with this if their target audience has an average age of more than 6. Films often use this tactic and that’s probably why I don’t go to the cinema very often. The other hated ending is “and then the world ended”. As a writer I may well have done this myself on occasion, but that doesn’t mean I’ll even attempt to defend it. It’s very lazy. A certain horror and thriller writer who I won’t name does this quite a lot. It’s annoying when you’ve invested hours in a 1,000-page thriller to have the rug pulled from under you by a phoning-it-in conclusion. An honourable mention is also required for “and it was all a dream” which sadly didn’t fall out of favour following the horrendous storyline used in Dallas in the 1980s. Bad endings out of the way it’s time to think about the good ones. When I started writing this I had no idea where I was actually going with it, but I seem to have had some sort of epiphany along the way. What if an ending isn’t really an ending? I don’t mean one which clearly sets up a sequel, but one that leaves things up in the air, one that makes you think. What happens to Yossarian when he flees at the end of Catch 22? What happens to Tony after the door opens in the final scene of The Sopranos? Some might argue that this is also lazy as it requires the reader or viewer to make their own ending, but I think it’s genius. It allows an infinite number of possible outcomes and you can choose any one you want. It also fuels discussion, argument and nowadays, internet theories, which can actually sometimes be worth reading too. The same applies to short fiction. Flash fiction is a snapshot that can start and end at any point. There is no need to have any kind of proper resolution and the mystery ending suits it perfectly. Endings are tricky. It’s probably easier to write half a million words of a novel than a few short paragraphs to wrap it all up. As a writer it’s a never-ending struggle, but as a reader I expect it to be done right. This ending, however, is terrible.